TechNation contacted healthcare technology management professionals to quiz them regarding the latest innovations and maintenance tips for ultrasound probes and transducers. Members of the roundtable panel sharing their insights are Conquest Imaging Senior Director Probe Repair and Operations Bob Broschart, Hitachi Healthcare Americas Inc. Ultrasound Marketing Manager for Radiology/Women’s Health Matthew Ernst, Summit Imaging CEO and CTO Larry Nguyen and Trisonics Senior Territory Manager Hobie Sears. Q: What are some of the newest ultrasound probe/transducer technologies health care facilities should consider when making purchasing decisions? Broschart: There are several new technologies and probe models on the market right now. Wireless probes are the newest innovation and are being developed by all the major manufacturers. They have seen some market acceptance, however they currently are not compatible with existing systems. (They require a new system platform). The best new probe technology in my opinion is the single crystal array probes on the market. Single crystal arrays provide better 2D image quality, (better penetration, resolution, etc.) This technology has really advanced where and when ultrasound can be used. Ernst: The Matrix CMUT – Capacitive Micro Machined Ultrasound Transducer. This Matrix linear transducer 4G CMUT uses capacitive cells fabricated using techniques first developed in the semi-conductor industry rather than traditional piezoelectric materials. The ultra-wide bandwidth of these cells enables a single probe to do the job of many, supporting not only scanning of superficial structures, but also deep-seated organs and blood vessels. Nguyen: Two of the newest ultrasound transducer technologies health care facilities should consider when making purchasing decisions are high frequency and wireless transducers. The benefits are obvious, however vulnerability to accidental damage from drops can significantly increase total cost of ownership. Sears: Health care facilities should focus on transducers that fit their clinical needs. This might include the newer transducer technologies such as Single Crystal, Matrix or even the latest breakthrough with a CMUT transducer now available in the ultrasound market. However, the main consideration is getting the transducer that allows sonographers and physicians to get the best results needed for their patients. This is key because the new technologies are most certainly going to cost more over the life of the transducer. Any added cost needs to return a benefit back to the facility in some way, in better outcomes for the patient or faster scanning or some other measurable way. Broschart: The wider use of ultrasound has placed more pressure on probes. It seems more labs are using their probes almost constantly during the day. The increased patient load does mean that ultrasound probes are under power far longer than in the past. Regular, routine checks of your probes has become a must rather than an afterthought. Sonographers understand the importance of their probes. However, as more non-traditional users of ultrasound appear, (oncology, podiatry, etc. ), these users are not as familiar with things like basic probe care. Training and education will be the key to helping these users keep their probes in good condition. Ernst: Ultrasound transducers are now becoming more and more specialized depending on application. In doing so, there is an increase in the number of transducers sold but also many more unique designs and components which make maintenance such as repairs more challenging. Nguyen: The growing user base of ultrasound is by non-traditional users (doctors and nurses) who have limited knowledge of the construction and function of the transducer beyond providing a diagnostic image. They often lack the education or knowledge to protect ultrasound transducers which can result in increased accidental damage of the equipment. For example, an anesthesiologist may toss a TEE transducer into a metal sink after surgery causing catastrophic damage and resulting in total loss of the transducer. Sears: The number of transducers in most facilities is increasing, sometimes dramatically. One of the greatest factors in transducer maintenance is managing a proper inventory, knowing what you have will allow you to plan for replacements, loaners, etc. Everyone involved with ultrasound is required to play a role in transducer maintenance and care; this includes the engineer and the sonographer. As most units are PMed only once (or maybe twice) per year the sonographer is often the first person to notice a problem. When repair is to be considered as an option, finding issues when they are small will generally allow for the best outcome from a repair standpoint. Communicating with the ultrasound departments and making sure they are reporting the little issues makes a big difference when it comes to reparability. Last, all clinically used transducers need to be evaluated on a regular basis, for example, during a PM; this should include phantom imaging, visual inspections and electrical leakage testing. Broschart: First, I think it is imperative to understand one thing. Even the OEMs provide used/refurbished probes as replacements for the most part. It is rare that you will receive a new probe when you request a replacement. However, as pros and cons go, new versus used is always debated. Even new probes can have dead elements in them from the manufacturer. There is an acceptable tolerance that each OEM has to use for new product. Regrading refurbished/used probes, as this seems to be more the norm in the industry, to me the key is making sure they are fully tested and performance is verified. Minimal acceptance testing would include both a good element test and live testing in my opinion. Ernst: Purchasing new comes with a peace of mind and backing from the OEM in terms of quality, reliability and warranty. Of course this comes at an increased cost to the end-user. On the other hand, purchasing re-furbished can come with some risk with respect to the same quality, reliability and warranty. However there is typically a significant cost savings in doing so. Nguyen: The pro of purchasing a new transducer is that it is unused and there are no layers of asset ownership that could cause questions or concerns if the equipment has gone through quality control. The con is that it is expensive. The pro to purchasing refurbished transducers is it significantly lowers total cost of ownership for health care facilities. The con is that health care facilities must carefully select suppliers that have certified quality management systems governing the transducer repair process with validated methods that preserve the performance and safety of the equipment. Unfortunately, the market is flooded with counterfeit parts inside the devices that end users never see, but can have negative impacts on patient care and total cost of ownership. Sears: The difference between purchasing a new transducer compared to a refurbished transducer is usually a monetary decision. The pro is simple, buying a refurbished transducer will save money for the facility. The con is the sonographer believes they are getting an inferior product. 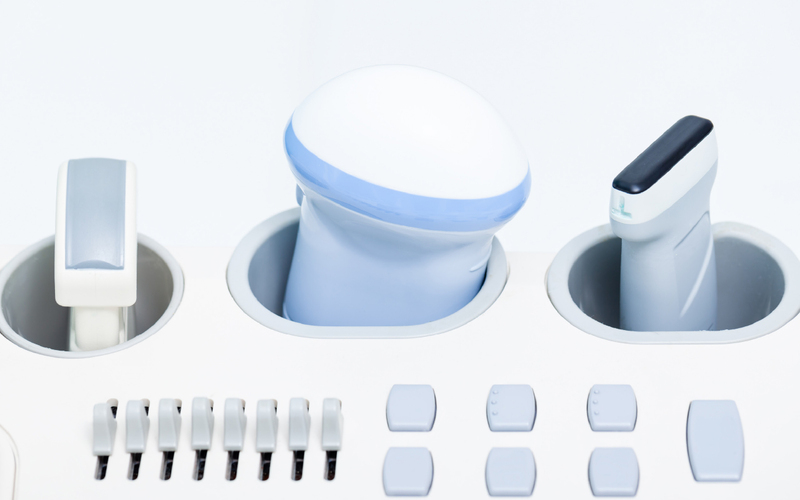 It is necessary that the sonographer feel comfortable in the quality of the transducer; they need the assurance that if the refurbished transducer does not seem right that the issue will get rectified quickly. Your vendor needs to be completely supportive of this and willing to provide warranties or replacements without any argument. Since I didn’t mention it prior, that refurbished transducer needs to function just as if it were new, not a pro or con but a fact. The con of purchasing a new transducer is usually the considerably higher price tag. Depending on the manufacturer you may not receive an extended warranty on a new transducer, compared to a refurbished one from another vendor. Therefore, the only pro that a new transducer should have would be in quality, but this is not really the case. Refurbished transducers should function just like new, this decreases the new transducers value. In an active day-to-day practice, I don’t see any greater DOA rate with refurbished transducers than I do with new. Broschart: A starting point is to determine if the provider has a good quality system in place (ISO:9001, 13485). This is a must in today’s health care environment. I also recommend a site visit. The probe is too important to trust a repair to someone not qualified. How are they trained? What type of testing do they do? Do they clean and disinfect their probes? And lastly, make sure they actually “repair” their probes and are not a broker. Ernst: When selecting a repair vendor, customers should ensure they meet all of the necessary regulatory requirements as required by the FDA. They should also consider how long a repair vendor has been in business, volume of repairs and references/ratings from other customers. Nguyen: It would be important to know how an ultrasound equipment repair company tests the transducer during evaluation and repair. ISO 13485:2003 QMS certification should be a requirement for repair companies such that health care facilities can thoroughly investigate and validate suppliers. Absent this certification, excess risk will likely result from unsubstantiated claims with no accountability or requirement to operate to a procedure to best protect the safety and performance of the equipment for patients. For ultrasound transducers, live Doppler testing by a formally trained ultrasound repair technician should be a requirement. It is critical to validate an ultrasound equipment repair organization’s training of their technicians from certified experts in image quality, otherwise the quality control testing is systematically flawed as user expectations are never properly tested prior to delivering the transducer. Sears: Your ultrasound service/parts/transducer provider should be acting as a partner in the management of transducer maintenance. Transducer repair is much like any other repair, although often more complicated; it still comes down to quality and trust. Many will speak to certifications such ISO:9001 (or 13485) that their companies have achieved. Those certifications are good and Trisonics has achieved some and is currently working toward a higher level as well, but they are more of a baseline. What happens beyond that is what matters. Can your provider verify issues with a transducer if needed or step in when they see an issue that appears to be systemic and could cause greater failure rates? You need a provider that can engage with the hospital engineer and the ultrasound staff in a holistic manner. Q: Can you explain the importance of holding an in-service or staff training on how to properly handle ultrasound probes and transducers? Broschart: On-site training is incredibly important in my opinion. I have done it several times, all to great effect. I have found that most sonographers once they are trained on how their probe works and what they themselves can do to prevent problems, they really become an ally. Training them on probe technology, proper handling (i.e. use of the probe holder on the system, watching where the cables lie, etc. ), cleaning and disinfection are the most critical areas I have found, especially TEE and vaginal/prostate probes. Some people really do not follow the OEM’s guidelines for disinfection; although they are well-written by the OEMs. Reading and following the guidelines for the disinfecting solution itself is also key, as well as making sure to wipe the probe off after each use – cleaning the gel off prevents it from liquidizing and getting under the lens. Do not use pure alcohol to wipe down a probe. Use only approved wipes or solutions for ultrasound probes. Ernst: With the sheer number of ultrasound companies providing different and sometimes unique solutions it is imperative that staff are trained sufficiently. 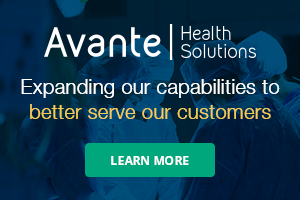 Ensuring equipment is operating correctly and maintained properly will ultimately provide the best patient care which is the responsibility of both vendors and users. Nguyen: The high cost of transducers makes it important for users to know how to best care for them. The loss of a transducer due to unnecessary damage results in a higher total cost, loss of productivity and delayed patient care. It is also important that users understand what contributes to image degradation and how that can impact the diagnostic quality of the exam. Users also need to understand how components can be damaged, such as pin connectors and cables as well as the array itself. Sears: I can’t overstate just how important this is for any facility! Trisonics will provide this in-service to ultrasound departments (including central sterile) free of charge. Proper transducer care and handling are of primary importance and the first line of defense in all transducer maintenance. These in-service sessions always result in lowering the number of damage and repair incidents a facility has for the following year. Also, all hospital engineers that work in ultrasound should be well versed in transducer care and handling. Broschart: I think it is so important now with the pending FDA legislation of our industry, that probe suppliers and repair suppliers are better vetted by users. There are too many brokers out there who, in turn, do not properly vet out their suppliers. The probe is the only piece of the ultrasound device in contact with the patient. The probe provides all the data to the system as to the patient’s condition. It is vital that probe and probe repair suppliers also understand this importance. They should be organized and trained to provide this highly critical task that is so important to patient care. Ernst: If done properly there is no right or wrong decision when it comes to purchasing new, re-furbished or repaired transducers. Customers need to make the best choice for their specific needs and to ensure that whatever choice is made that product and patient safety are the highest priority. Nguyen: HTM professionals need to understand the current regulations and requirements of the FDA and use those standards to validate a repair company. It is alarming that many organizations do not know or understand current regulations and perform repairs that negatively impact equipment safety and performance in order to enhance their bottom lines. The equipment being repaired should preserve the safety and performance to best serve health care facility customers and patients. It is the only approach that improves patient care and lowers total cost of ownership. Sears: Being engaged in the modality of ultrasound is important for all those who are providing service and support. This includes having a working relationship with sonographers and managers in those departments. This type of engagement will translate into the best understanding of the needs for any ultrasound department during a new purchase or a service event. Then, develop a relationship with your vendor and verify the quality that they say they will deliver. While not specific to transducers, this is the best advice I can give anyone who supports the modality of ultrasound.